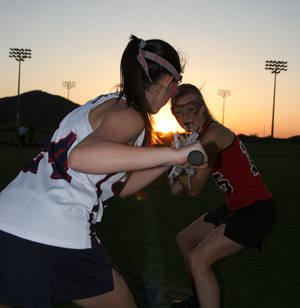 AZGL is committed to growing girls lacrosse in Arizona. Lacrosse is still growing, especially in Arizona. In order to meet the demand for more opportunities to play, we established our fall ball league. It is for high school and adult players. In addition, as the demand for more competition and exposure to college coaches has increased, we have added more opportunities for girls to travel to gain experience and be seen. We started a club travel team in the Fall 2010 that will allow players to get more practice time on the field and participate in multiple tournaments. Check out our club information under our desert heat club team page.